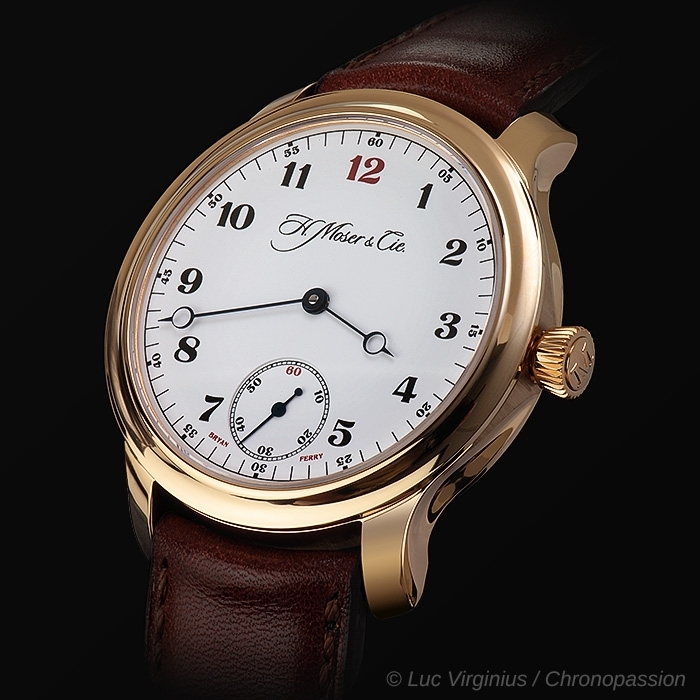 H Moser & Cie | 16'200 € Tax inc.
H. MOSER & CIE. 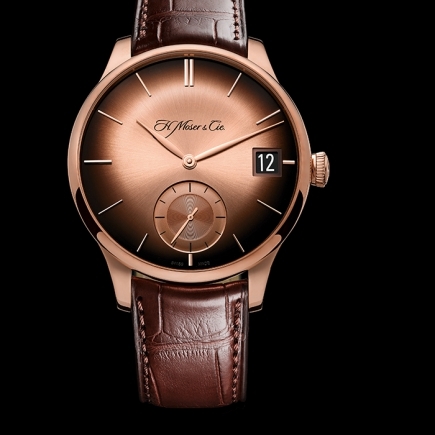 ANNOUNCES A VERY RARE LIMITED EDITION DESIGNED WITH ONE OF THE WORLD’S LEADING STYLE ICONS, BRYAN FERRY. 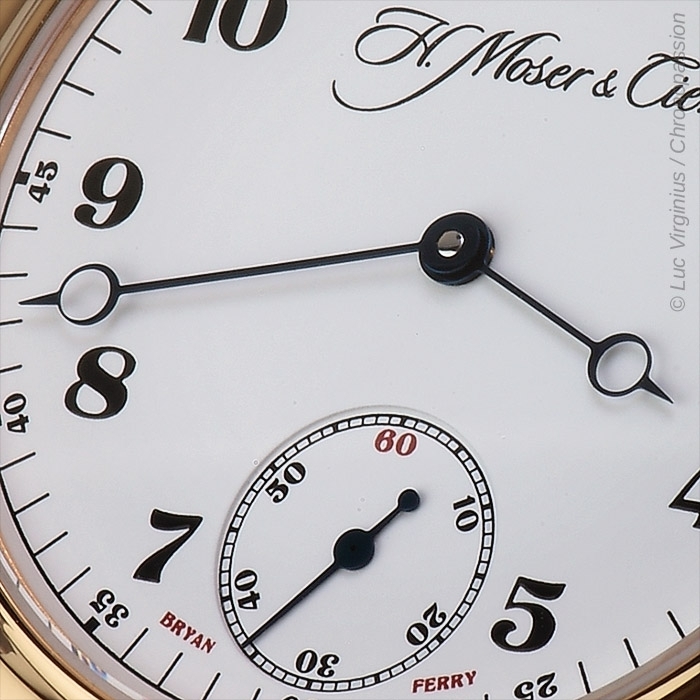 Elegance and refinement are cornerstones for H. Moser & Cie. watch, and the company imbues these terms today with a touch of provocation, freshness and even irreverence. 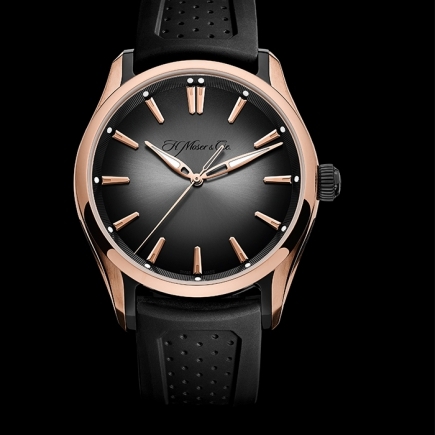 In an innovative design partnership, the iconic singer and musician Bryan Ferry and the Manufacture H. Moser & Cie. created a signature limited edition watch of 100 pieces, the Endeavour Small Seconds Bryan Ferry. 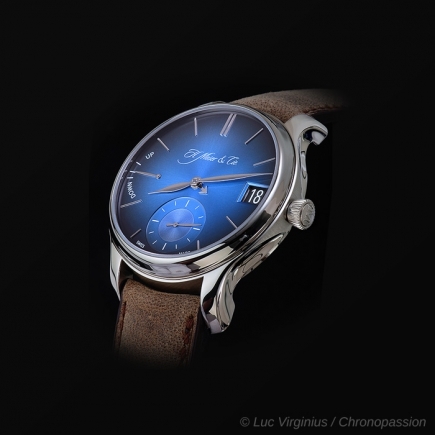 This watch will be available from January 2016. 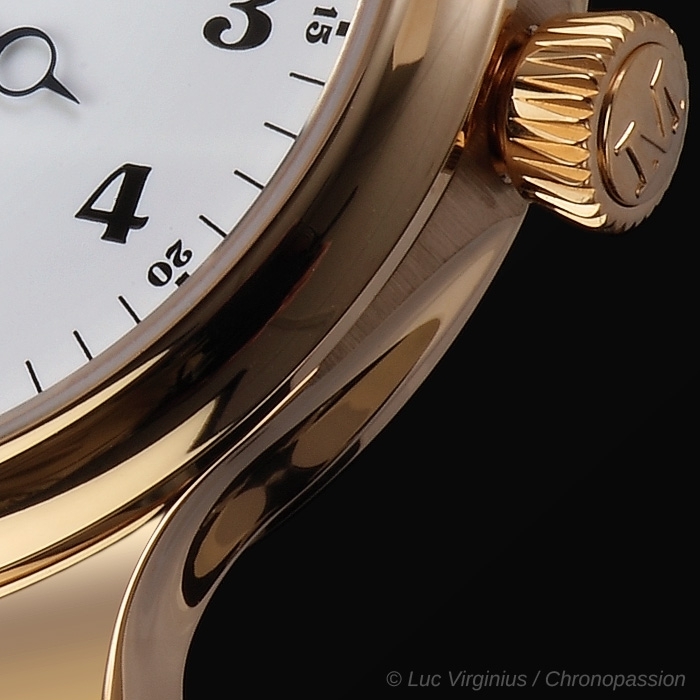 The engaging dialogue between the Neuhausen watch Manufacture and this eternal gentleman, whose stylish dandy chic has an elegance of his own making, was immediate and mutual. 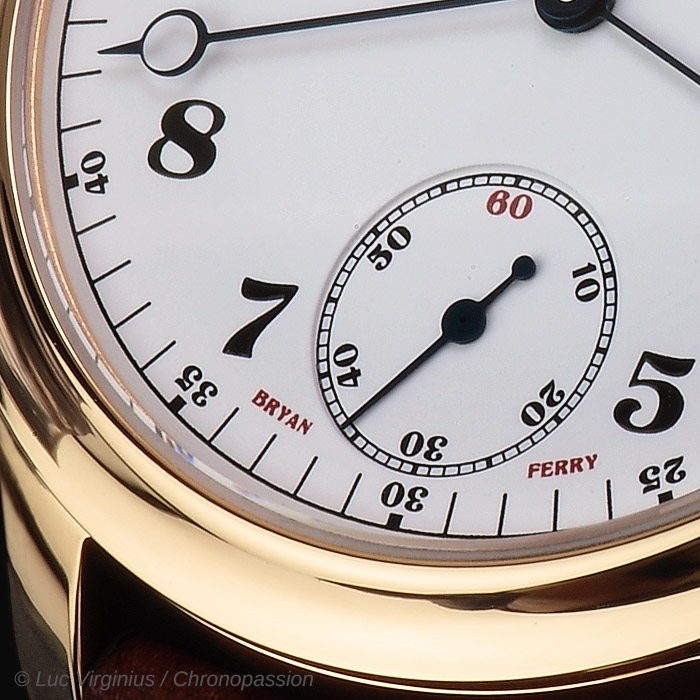 Widely regarded as the embodiment of the glamorous and romantic worlds evoked by his songs, Ferry is also lauded as an icon of sartorial and personal cool and as an accomplished designer in his own right. Having studied Fine Art under Richard Hamilton at Newcastle, Ferry is renowned for creating the legendary Roxy Music album covers and now a new legend: the H. Moser & Cie. limited edition Endeavour Small Seconds Bryan Ferry. 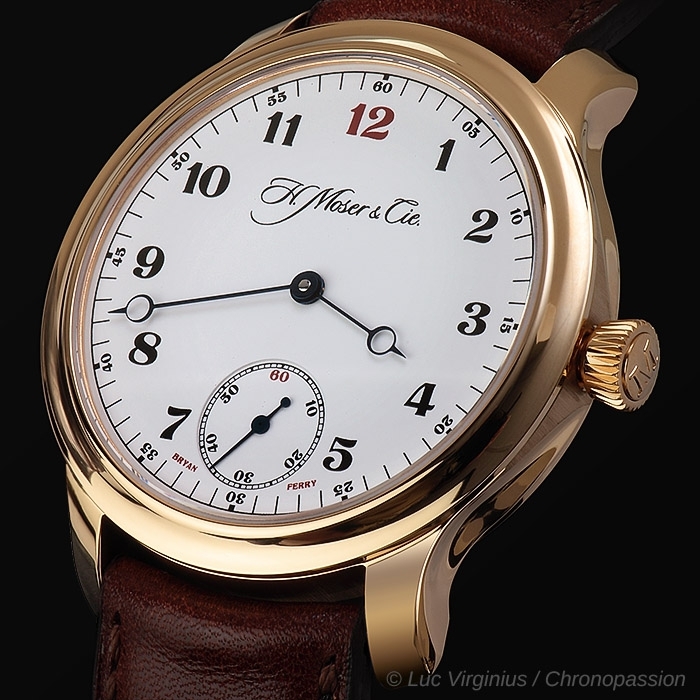 He discovered the creations of H. Moser & Cie. thanks to a mutual friend, and expressed his desire to collaborate in the creation of a special series bearing his name. 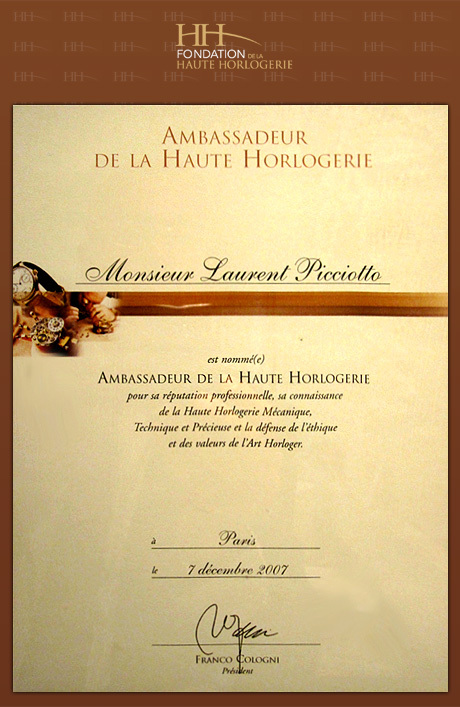 This was the beginning of a partnership of rich exchanges, whose fruit is the Endeavour Small Seconds Bryan Ferry model. 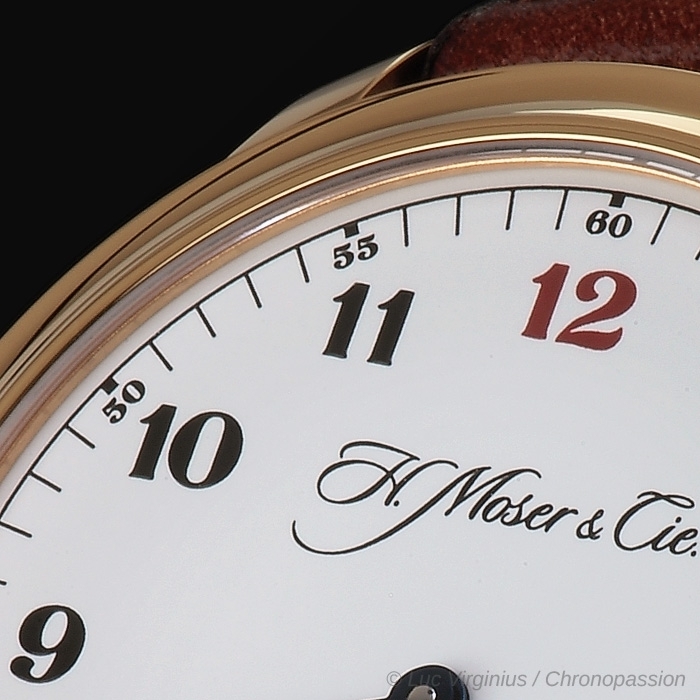 Edouard Meylan, CEO of H. Moser & Cie., recalls: "I experienced Bryan Ferry when I was very young, through my parents, and I admire this artist and his impressive career. 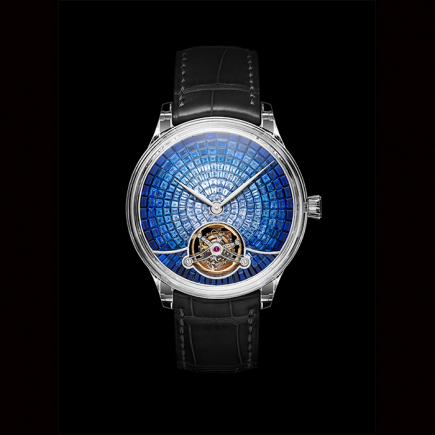 Since his debut as a leader of Roxy Music, he has pursued many of his own adventures, having just released his 15th solo album. 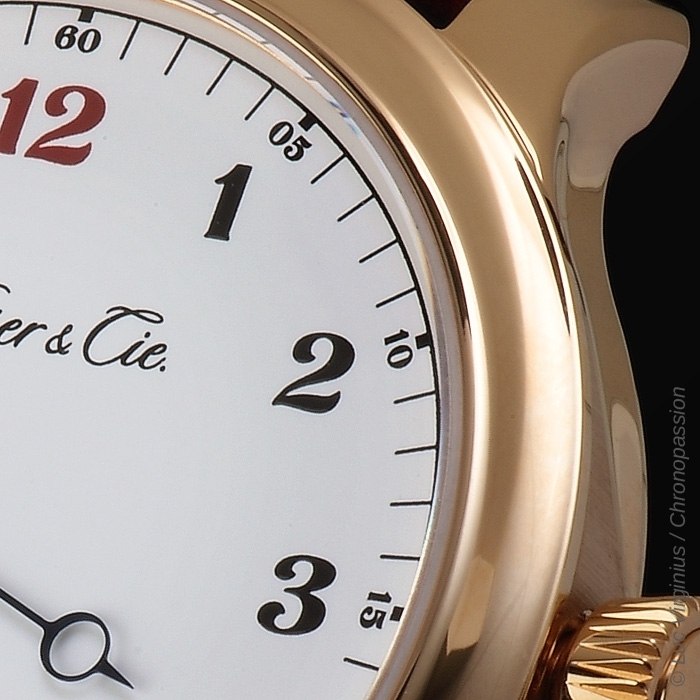 When we met, I was touched by the passionate character of Bryan Ferry: by his enthusiasm and interest in everything. 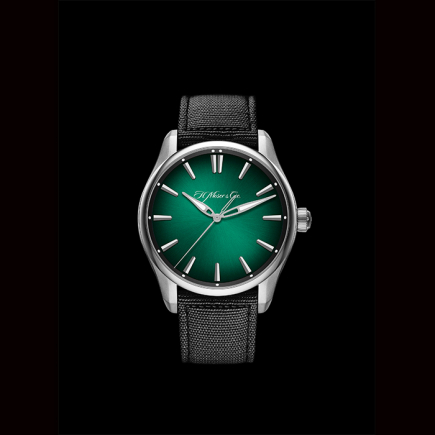 Watchmaking obviously fascinates him and it was a pleasure to work with him to develop the Bryan Ferry Limited Edition." 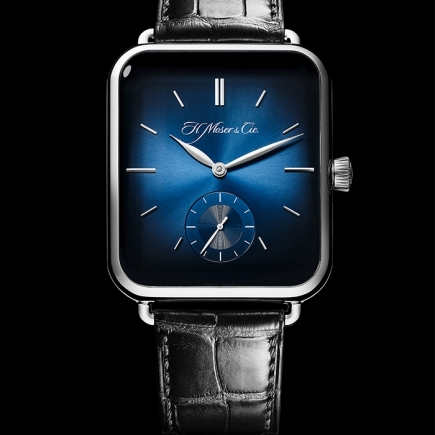 For this exceptional watch, Bryan Ferry and H. Moser & Cie. designed it with a decidedly vintage aesthetic. 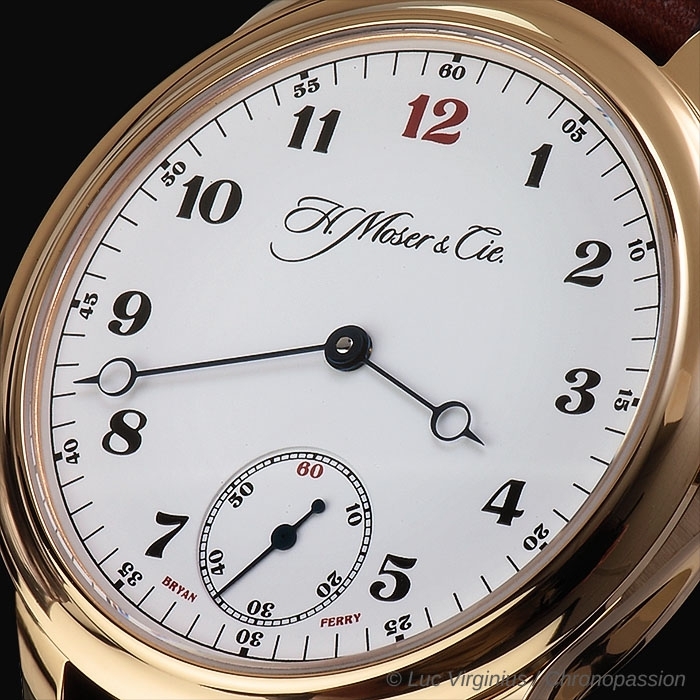 Drawing on inspiration from the historic models from H. Moser & Cie., the Limited Edition references the dial details from specific H. Moser pocket watches: the dial is in a lacquered white with a matte finish and with figures whose aesthetic clearly evoke the past, combining black and touches of red. 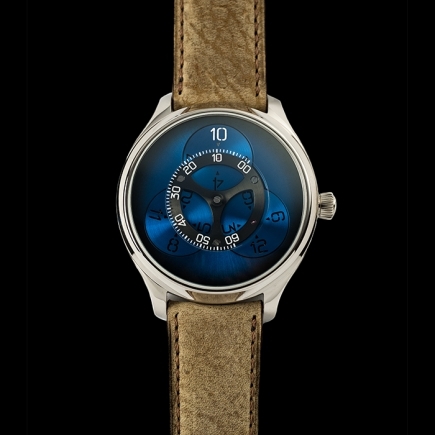 This retro look is enhanced by the minute track which emphasizes the edge of the dial, as well as the traditional for m of the blued hands. 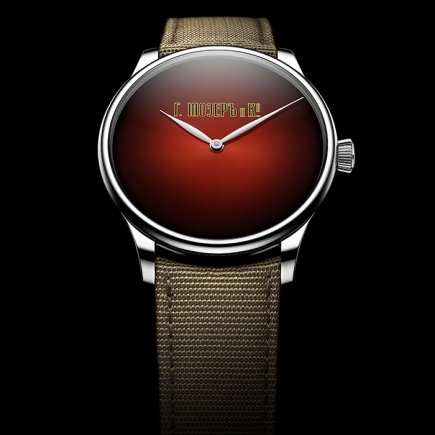 This classic, timeless creation has an ultimate elegance coupled with a sobriety and it displays, every so discreetly, the name of Bryan Ferry in red at 6 o’clock, instead of the usual "Swiss Made". 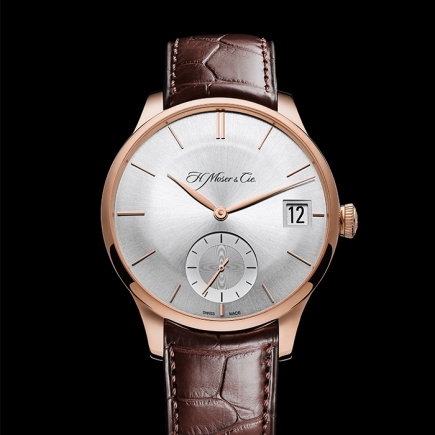 Combined with a rose gold case with sculpted shapes with alternating polished and brushed surfaces, the buffed brown calfskin strap completes the Endeavour Small Seconds Bryan Ferry model. 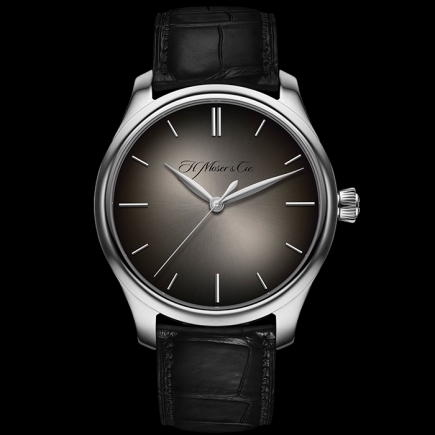 Available from January 2016 at H. Moser & Cie. retailer partners, for some very fortunate fans this will also be the opportunity to meet Bryan Ferry, in an exclusive, very rare, personal watch presentation. 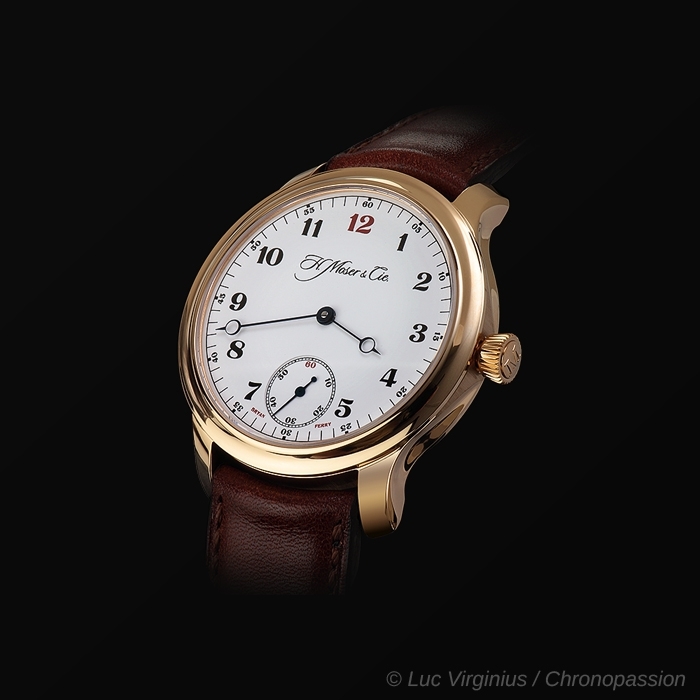 Reference 1321-0116, model in rose gold, white lacquered dial, leather hand-finished bracelet in brown calfskin, limited edition of 100 pieces.